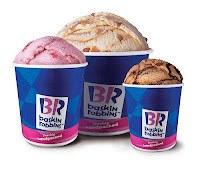 FREE Baskin-Robbins Giveaway on 8 August 2012 If Malaysia Wins 1st Olympic GOLD Medal! FREE Baskin-Robbins (nationwide) Giveaway on 8 August 2012 If Malaysia Wins 1st Olympic GOLD Medal! The Malaysians & 1000savings.com fully support & pray hard for Malaysia Olympic team to go for any medal, especially GOLD ! It's CONFIRMED (by ntv7 & Baskin-Robbins Malaysia) - FREE Baskin-Robbins Ice-Cream for ALL on 8 Aug 2012! Share this happiness out! It’s time to come together as ONE and taste the sweet success!